This might be an unpopular opinion, but do you think that oil prices have already bottomed out? 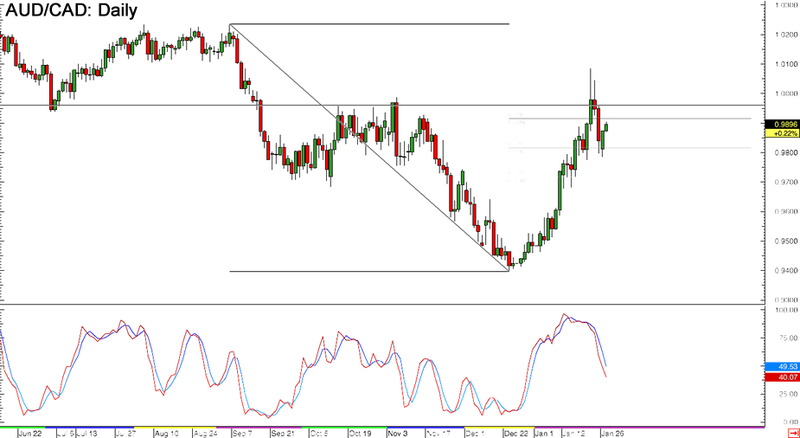 If so, you might like this potential long-term short play on AUD/CAD. As you can see, the pair broke below the short-term rising trend line and pulled up for a retest right around the 50% Fibonacci retracement level. 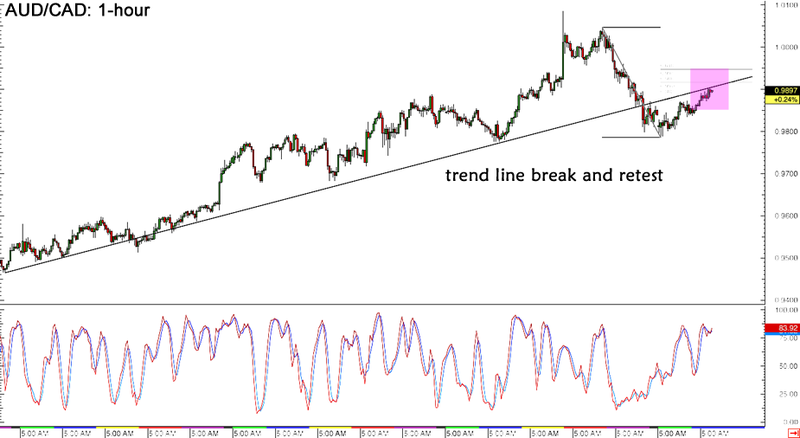 Stochastic is almost in the overbought zone, indicating that Aussie bears might take over price action soon. If that happens, the pair could complete a head and shoulders pattern and confirm the longer-term drop if price breaks below the possible neckline at .9800. Of course the recent BOC surprise rate hike and further downside for oil prices could mean more gains for this pair, but I’m thinking that the Australian economy is also feeling the impact of weaker inflation. Their quarterly CPI reading is up for release tomorrow and a lower than expected reading might prompt an Aussie selloff. I’m considering entering a short trade at market (.9900), risking half my usual size and setting another sell order at parity. I’ll have a really wide stop for this one so I’ll have room to cut losses if a strong break past 1.0100 takes place, but I’ll have my sights set on the previous lows on the daily forex chart (.9400) if oil prices do pick up soon.